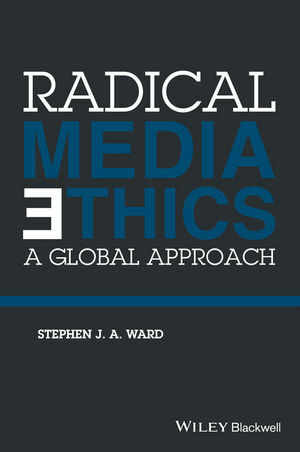 In “Radical Media Ethics: A Global Approach” I declare that the only way to rescue media ethics from sinking into oblivion is to think radically. We need to rethink the basis of media ethics from the ground up. The tweaking of ideas and re-formulation of rules, as seen in recent revisions of codes of ethics, is a temporary, localized fix. It does not address the larger conceptual swamp in which we find media ethics. The most serious problem is not irresponsible journalists. The most serious problem is not differences between legacy and citizen journalism. The most serious problem is the sorry state of the framework of ideas we call media ethics. This framework, inherited from a non-global, pre-digital journalism, portrays the journalist as a professional gatekeeper who serves the public by informing citizens truthfully, impartially, objectively, and independently. She uses time-consuming verification procedures. Given this interpretation, we have a means of evaluating practices. The media revolution undermined the framework. Principles, such as impartiality, are rejected. Instead of consensus we have a clash of values. Many new practitioners prefer an interpretive, engaged journalism far from the “straight” reporting admired by traditional media ethics. If time-honored principles such as truth-telling are maintained, there are disputes as to their meaning. For instance, what does accuracy mean in an era of instant updating? Where reinterpretations of principles are not available, we are left with a conceptual ‘hole’ in the middle of our ethics. The result: We lack an agreed-upon framework for evaluating stories. Media ethics is like Humpty Dumpty after his big fall; it’s a mess. What I’m advocating is a radical rethinking of media ethics for digital, global journalism, a new framework for others to build upon. I look for principles that might re-integrate media ethics. I put forward a code of global digital ethics. Are you a radical, really? When I was growing up amid the Cold War, radical was a dangerous, negative word. It referred to Trotskyites and others who would replace capitalism with communism. I was never a political radical. My radicalness is philosophical, but it is not divorced from the world. I have little patience for those who think philosophy is an abstract activity by elite thinkers detached from life. I follow Dewey and other pragmatic philosophers in defining philosophy as social and reformist. Philosophy is engagement with the urgent issues of our time by critiquing assumptions and proposing alternatives. When the winds of change blow, fundamental thinking is needed to overcome old beliefs that have atrophied into what J. S. Mill called “dead dogma,” and stand in the way of progress. In media ethics, the old ideas of news objectivity as just the facts, balance as always giving equal space to all sides, and impartiality as emotional detachment, are dead dogma. This follows from what I have said. Addressing specific dilemmas is important but at least some of us need to spend time thinking big. We need to propose a reinvention of media ethics that integrates the values of many types of journalism and has a chance of gaining the support of many types of practitioners. The reintegration of media ethics starts with broadening the political philosophy of journalism for digital media. This means rethinking, not abandoning, the public justification for journalism – the formulation of norms that apply across platforms and individuals. If we think of media ethics as only what each individual journalist embraces, no media ethics is possible. Moreover, the public will lose whatever faith they have left in journalism once they learn that journalists, despite their impact on society, think they can make up their own values. We must never lose sight of the social nature of journalism. Its norms must be justified according to how they contribute to democracy and fulfill public responsibilities. The trouble is that traditional media ethics says too little about how new forms of journalism contribute to the public aims of journalism. Traditional media ethics places a high importance on honoring pre-established content, such as the principles that occur at the start of most codes of ethics. Often such principles are considered to be absolute. Ethics, it is thought, needs unchanging foundations. Disagreement on principle is a sign of a weakness in our ethics. At a time of media revolution, we should emphasize the process by which we assess media values. Principles are not absolutes but our best attempts to articulate our values for this period in journalism. Media ethics should be an open-ended discourse across platforms and borders. Ethics has always evolved, and we should expect, and welcome, criticism. Ethics is naturally, and rightly, contested. 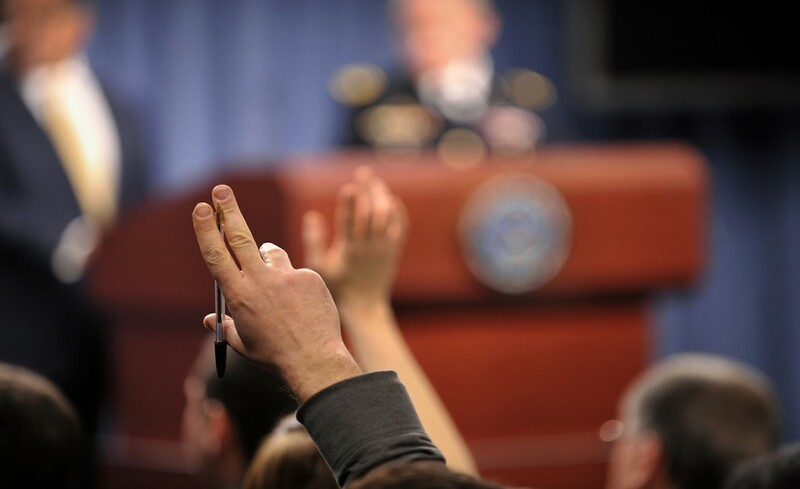 As media ethics moves beyond professional newsrooms, it becomes ethics for everyone. The maintenance of good journalism is a society-wide responsibility. It requires that the public be part of ethical regulation. For example, the public should be able to participate meaningfully in the revision of codes of journalism ethics. The radical attitude, then, is one that thinks big and seeks reinvention, thinks of media ethics as evolving discourse without absolute principles, and stresses the public nature of practice in terms of justification and participation. So, let’s adopt this attitude. What should we do with it? Ethics of new media ecologies: Future media ethics should guide journalists working in non-traditional environments from nonprofit web sites to investigative centers within academia. Future media ethics should say useful things on the responsible use of new media, and how to deal with integrated newsrooms. Ethics of activism: Activist journalism will also proliferate. But, when are activist journalists not propagandists? Rather than simply dismiss activist journalism on the traditional ground of objectivity, how can we develop a more nuanced understanding of this area of journalism? Ethics of global democratic journalism: New thinking in ethics will need to reconstruct the role of journalism in global terms. My book is only one attempt to start rethinking media ethics from the ground up. May there be other books, other attempts. Stephen J. A. Ward is an internationally recognized media ethicist, author and educator, living in Madison, WI. He is Distinguished Lecturer in Ethics at the University of British Columbia, Courtesy Professor at the School of journalism and Communication at the University of Oregon, and founding director of the Center for Journalism Ethics at the University of Wisconsin.